I am learning to embrace doing the things that I love and not feeling guilty about it. Especially when it comes to spending money on them. 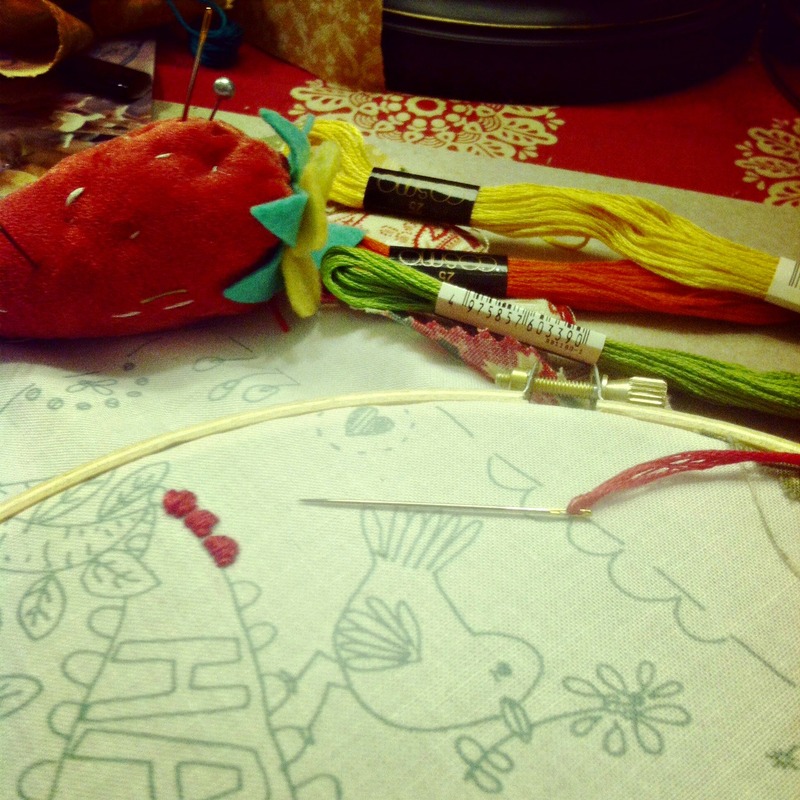 The other day, I went to an embroidering class at French General, to share stitching techniques with creative artist, Pam Garrison. 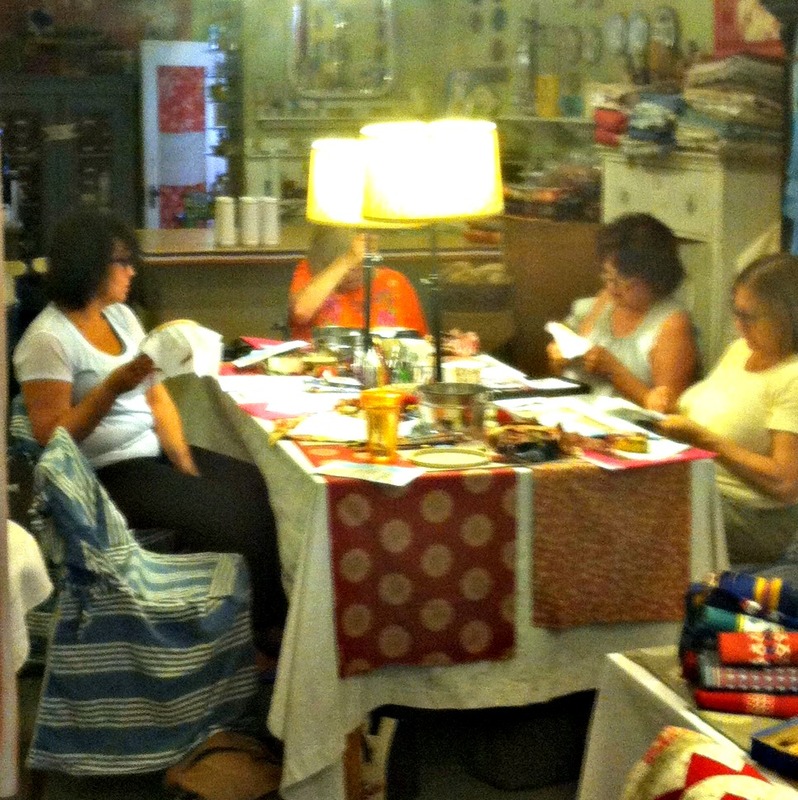 I sat with four other like minded women and we stitched and chatted for 5 hours. It was healing to my soul and engaging for my spirit. 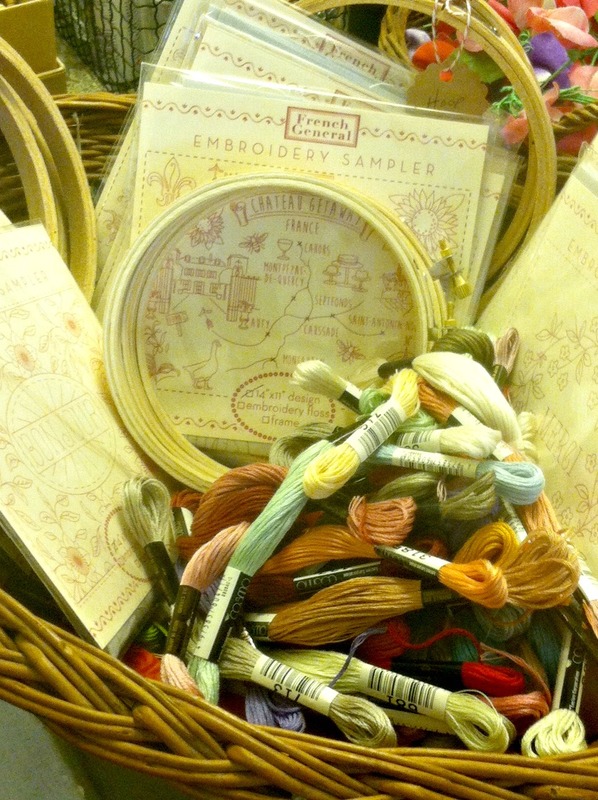 Needle and thread, often over looked as an art form. One of the greatest lessons cancer has taught me, is to engage in the things which bring me JOY. 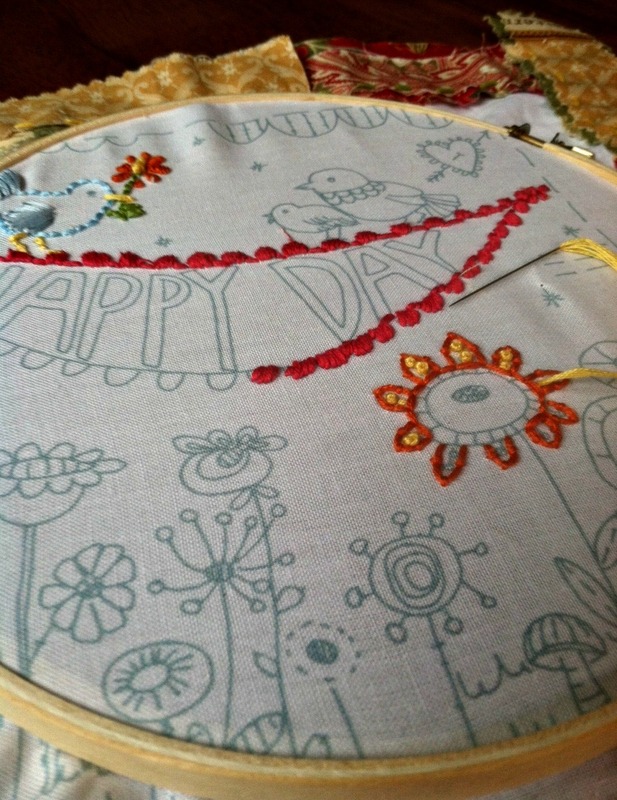 This sampler might take me awhile, but I have time. “I am learning to embrace doing the things that I love and not feeling guilty about it.”…..PERFECT! Fun & inspiring. I’ll wait for the final product! No more indoctrination for me. lol. Liberating to say the least. Love You Sarah. Such great healing by finding some joy in every day. Even 5 minutes can turn around one’s mood. Have fun in the sun! It makes me heart smile seeing you in your happy place.